Hi. I'm mostly posting this to make sure my credentials still work and if so, yay! NIN shared a remix for Todd Rundgren's "Deaf Ears" last week and, I have to say, it's pretty lit. Though we were treated to the digital release of the score to Before the Flood months ago, Lakeshore Records has recently announced that the LP we all pre-ordered will be in stores April 21st, 2017, the day before Earth Day. 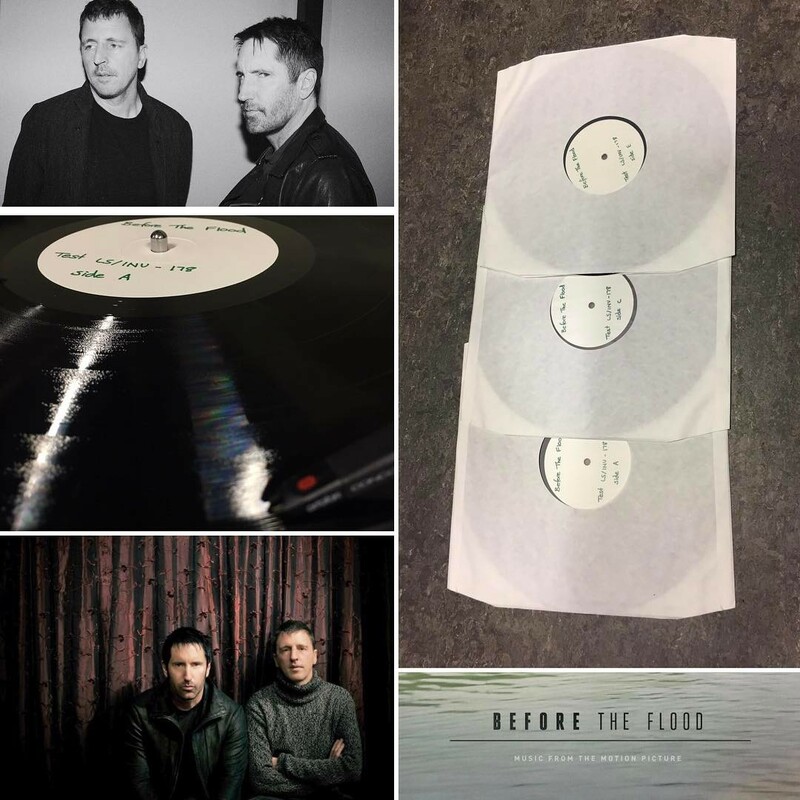 Over on the Instagram accounts for Lakeshore Records, they've been sharing some behind the scenes shots, such as test pressings (click on the our locally hosted image to grab the higher resolution copy), as well as dropping hints about how production's been going, and when stuff's coming out. They do some cool stuff with other artists you'd probably dig if you like the scores Trent & Atticus put out, and have pressed some really creative looking vinyl - check 'em out.